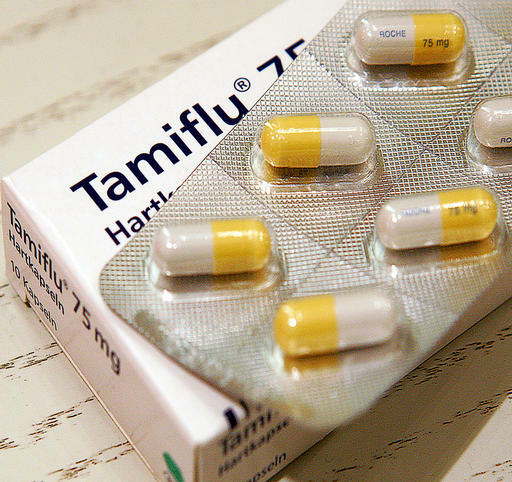 The brand name of the generic antiviral drug oseltamivir, Tamiflu has been used worldwide since 1999 but didn’t see widespread use until the H1N1 pandemic of 2009. 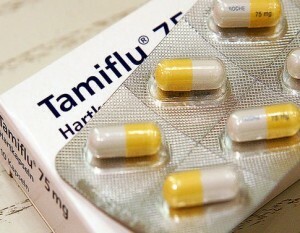 Tamiflu works by slowing down the spread of a viral infection through the body’s cells. The medication is converted into the necessary form by the liver, and then suppresses the release of viral materials by other infected cells, thus alleviating the symptoms of the infection faster. Oseltamivir, or Tamiflu, is most commonly prescribed to individuals who have been diagnosed with influenza. It is sometimes used to prevent the flu infection if a person is within a specific time frame of being exposed to the virus, especially during widespread flu outbreaks. Tamiflu is intended to treat and prevent both type A and B flu viruses, but some strains have developed a resistance to the drug and may require higher dosages. This is particularly true of the H5N1 virus, commonly known as avian, or bird, flu. Taking Tamiflu is not a replacement for having a flu vaccine. Discuss the benefits of getting an annual flu shot with your doctor. Individuals who choose to take the vaccine that is administered as a nasal spray, FluMist, should not take Tamiflu for 48 hours before the vaccination and for 14 days after. Oseltamivir will make FluMist less effective during this time period. Flu shots that are injected beneath the skin are not known to interact with Tamiflu. Mucinex is a brand name form of the generic medication guaifenesin. It is available in tablet or capsule form, as an elixir, syrup, or as a solution; it is also available in extended or regular release varieties. Valtrex is the brand name for the generic drug valcyclovir and is a prescription medication which helps control infections related to the herpes virus.